Synopsis This is a story about a pair of Christian couple in Hong Kong and their two pregnancies, one before their marriage and one after. Both times, something was wrong and they needed to make decisions, and it all depended on whether they were more afraid of god, or of human. This film features veteran director Mr.Joe Cheung. Chan Oliver Siu-kuen graduated from The Chinese University of Hong Kong, Global Business studies and has worked in commercial banks. She later studied at Hong Kong Baptist University for the Master of Fine Arts (Film, TV and Digital Media) degree. She has established CSK Productions and is now a short-film and music video director, as well as a feature-film scriptwriter. She is very passionate about creative work and loves telling stories. She wants to make films that are touching and awakening, especially on topics like feminism, religion, philosophy, and human nature. 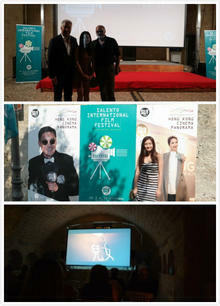 “It is my second visit to a European film festival. 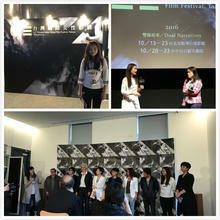 —Shared by Chan Oliver Siu-kuen, director of Children, after attending the 13th Salento International Film Festival in Italy, under the sponsorship of NAE. refreshing to see films in such aspect. The whole trip has been very rewarding!